If you like bikes, brews, BBQ, and music, mark your calendar for Saturday, August 5, 6 – 9 p.m. for the BWorks’ BBQ and Bluegrass event that includes a silent auction to benefit St. Louis BWorks at Mad Art Gallery in Soulard. Music during the event will be performed by Susan Marting and Cat’s Away Bluegrass Band. Tickets are $25/person in advance (ends on July 31) or $35 at the door (½ price for kids age 12-18, free for kids under age 12) and include’s entrance, one beverage, and BBQ (a vegetarian option is available when you select your ticket). Purchase tickets online by July 31 through Eventbrite. Mad Art is located at 2727 South 12th St., 63118. 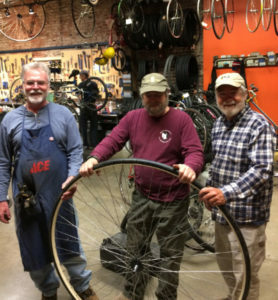 Proceeds from the door and silent auction will help support this nearly 30-year-old 501(c)3 organization that helps children and youth in St. Louis discover their potential through bicycles (Bicycle Works), books (Book Works) and bytes (Byte Works). Last year’s event raised more than $6,000 for BWorks and the donations helped provide much needed new classroom furniture and more. Silent auction items currently include gift certificates to Yemanja Brasil, Savor Saint Louis Food Tours, O’Fallon Brewery tour and tasting for 10, a Tom Jones custom suit and more. Susan Marting: Native St Louisan Susan Marting is new to the singer-songwriter scene. Her sweet lyrics and simple melodies will grab you and her clever hooks won’t let you go. The Cat’s Away Bluegrass Band covers many of your favorite Americana bands, from Ozark Mountain Daredevils to CCR, Gillian Welch to Johnny Cash, Steve Earle to Elvis and more. Sometimes the simplest conversations can lead to great things. 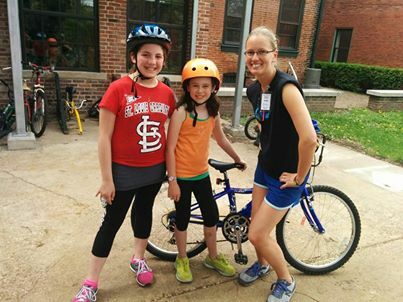 Just ask St. Charles resident Annie Yarbrough, who has been volunteering with St. Louis BWorks for about six years now – ever since she happened to stop by the organization’s booth at a regional bike event. When Annie inquired about the price of some schnazzy bicycle-chain keychains BWorks had on display at the expo that day, those working the booth explained that the items were being given in exchange for a donation to BWorks. “By the time they told me what St. Louis BWorks does, I not only wanted to donate money, I knew I absolutely needed to be involved,” Annie recalls. Her interest in BWorks can be traced back indirectly to her late father, Tom Yarbrough, who was an avid cyclist and beloved figure within the regional cycling community. Growing up, Annie watched him organize countless weekend bike rides throughout Missouri and Illinois that brought joy to many people, including her. 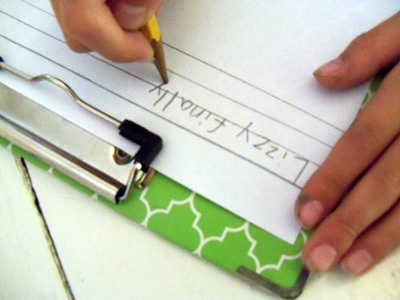 After he passed away, Annie spent a long time wondering how she could find that for herself. And then she discovered BWorks. A couple years into her service with BWorks as a dedicated Earn-A-Bike volunteer, Annie found a particular niche that continues to put her skills and passions to great use. 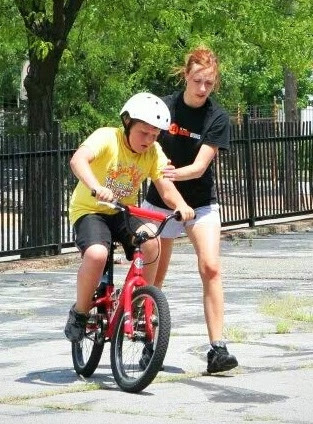 Known as Learn-To-Ride, the program fills a key gap for the organization by providing an option for children of all ages who have yet to learn to ride a bike for one reason or another. Time and again, students in Annie’s Learn-To-Ride classes overcome challenges and fears and accomplish something that previously seemed impossible. She finds herself giving a lot of pep talks about falling down but getting back up and trying again as she watches BWorks students gain skills and confidence that will serve them for many years to come. When she’s not volunteering at BWorks encouraging area young people and working to help other community members get involved as well, Annie stays busy as an employee of Enterprise Bank & Trust in Clayton and as a bartender at Fallon’s Irish Pub. She also loves mountain biking at Castlewood and Creve Coeur Park, window shopping and visiting new breweries. And on top of that, she recently became an aunt. In March, St Louis BWorks members gathered to celebrate our many volunteers and donors as well as vote on a new mission statement for the organization. 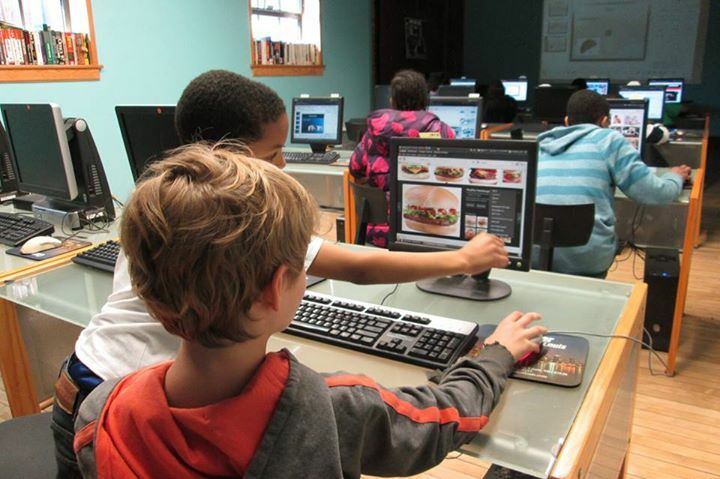 St. Louis BWorks inspires youth to pursue their dreams, care for the world around them, and explore new possibilities through experiential learning. Enjoyment: Frequently associated with fun, excitement and even a sense of magic, BWorks seeks to delight and enrich the lives of young people and everyone involved in the organization. Bike Drive Season Is Here! Consider Supporting BWorks Through A Donation. St. Louis BWorks hosts a number of Bike Drives across the Metro area during the spring, summer, and fall. These drives serve several purposes. First, they provide a steady supply of kid and adult sized bicycles which are of critical importance to the BWorks programs and Mission. They also provide an opportunity for you to do a little ‘house cleaning’ and in so doing make a difference for youth in the Metro area. All donated kids appropriate bikes are evaluated and are first sorted into one of three groups: (1) bikes to be refurbished and then given to students in our Earn-A-Bike program who successfully complete the course, (2) bikes that are damaged and will be recycled which includes removing any useful parts and then recycling the metal and rubber for future use elsewhere, and (3) bikes that are sound and will be refurbished and donated to other area nonprofits. All donated adult sized bikes are evaluated for sound structure and function and then are refurbished and the sold to the general public from the Bworks Bike Shop. The sale of these refurbished adult bikes adds to BWorks’ yearly operating budget. Bikes that are sound but do not conform to the general profile of adult bikes we sell are stored and yearly donated through Bikes For The World into developing countries where they are refurbished and become primary modes of transportation for youth and adults in the area. Finally, adult bikes that are damaged or unsound have all the usable parts removed which become available for sale in the BWorks bike shop and the remaining metal and rubber and recycled for future use elsewhere. 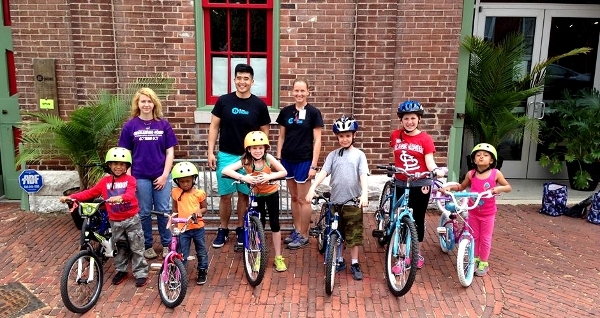 Your donation of a bicycle or bicycle related item helps us continue to offer our kid’s programs to any area youth between the ages of 8 and 17 for free. BWorks is a 501(c)(3) NonProfit and can provide those who donate items our tax letter to acknowledge the donation(s).